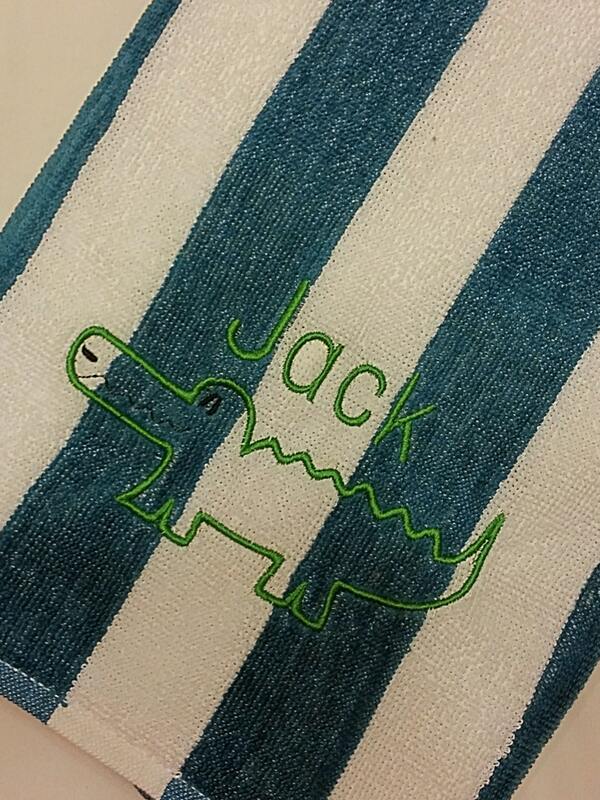 This fun towel features a preppy green alligator with an embroidered name above in a classic block font. Sample is in the blue stripe. Default color for design is green. 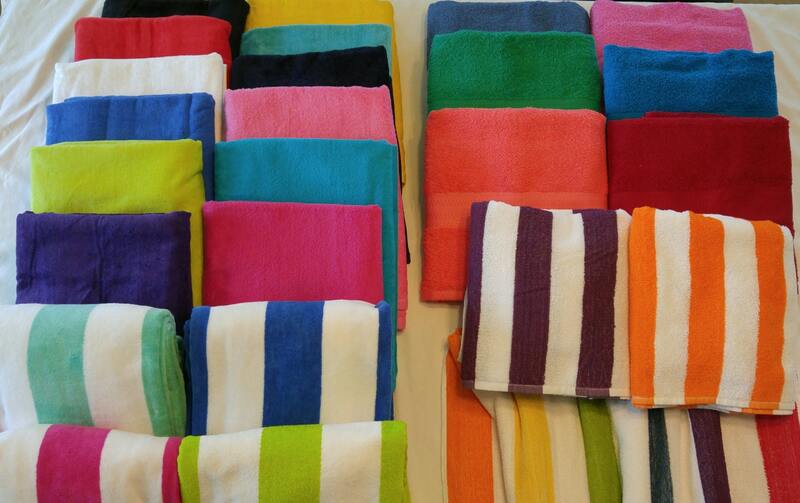 NOTE: These are thin lightweight terrycloth towels -- perfect for children or packing! 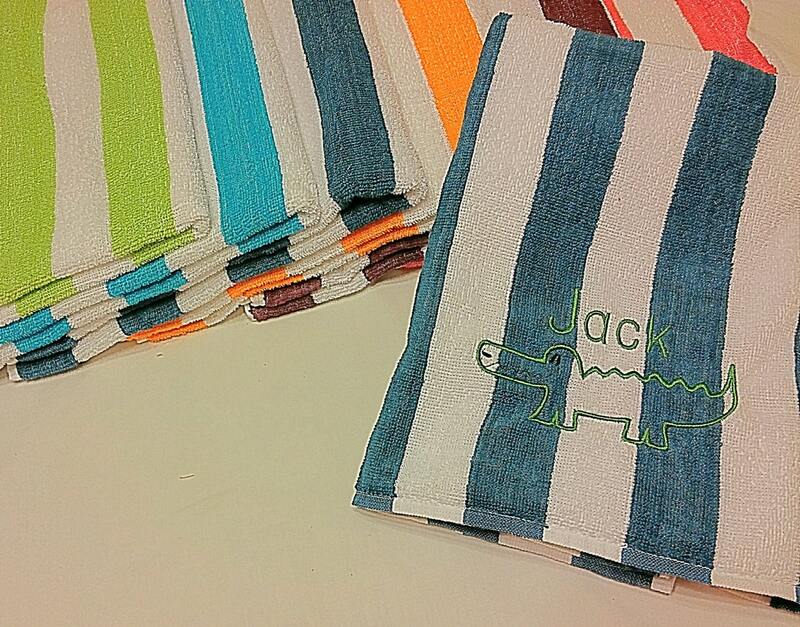 Great size towel for toddlers, and easy to pack. Great communication! Fast processing and shipping! Such a cute gift 😄 thank-you! 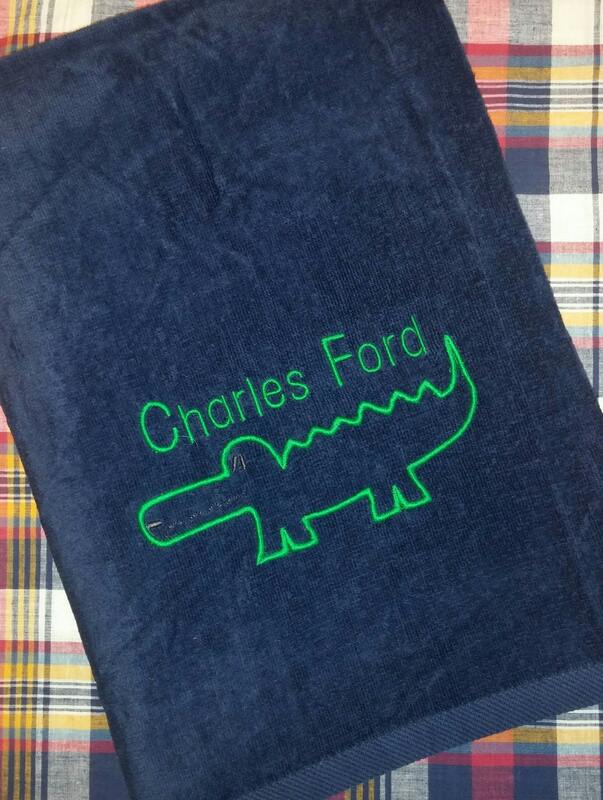 Loved my towel and great turn around time. Perfect for boy.